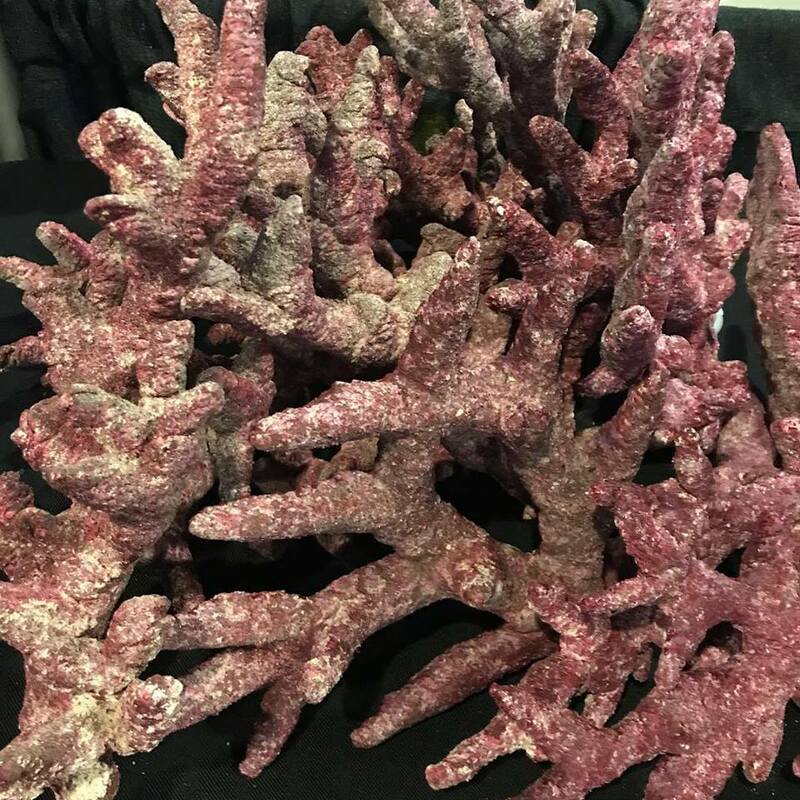 via Real Reef Manufacturing, Inc.
San Diego-based Real Reef Manufacturing, founded in 2010, is one of a handful of companies advancing and refining the art of producing sustainable, man-made reef rock to take the place of wild-harvested live rock for reef aquariums. 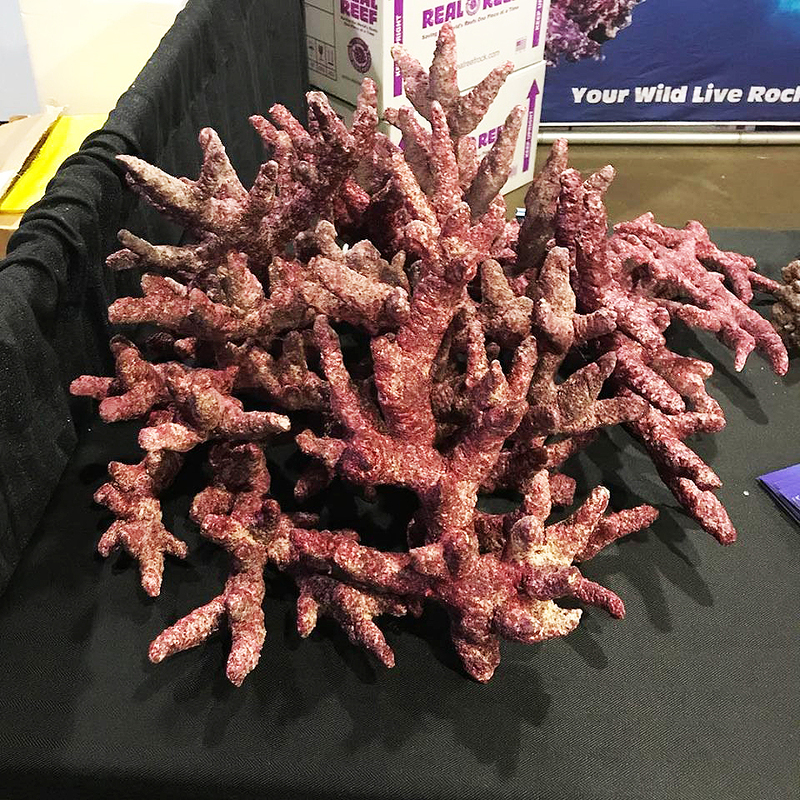 This past week, Real Reef revealed a new form of their man-made reef aquarium rock at AquaShella 2019 in Dallas, TX. 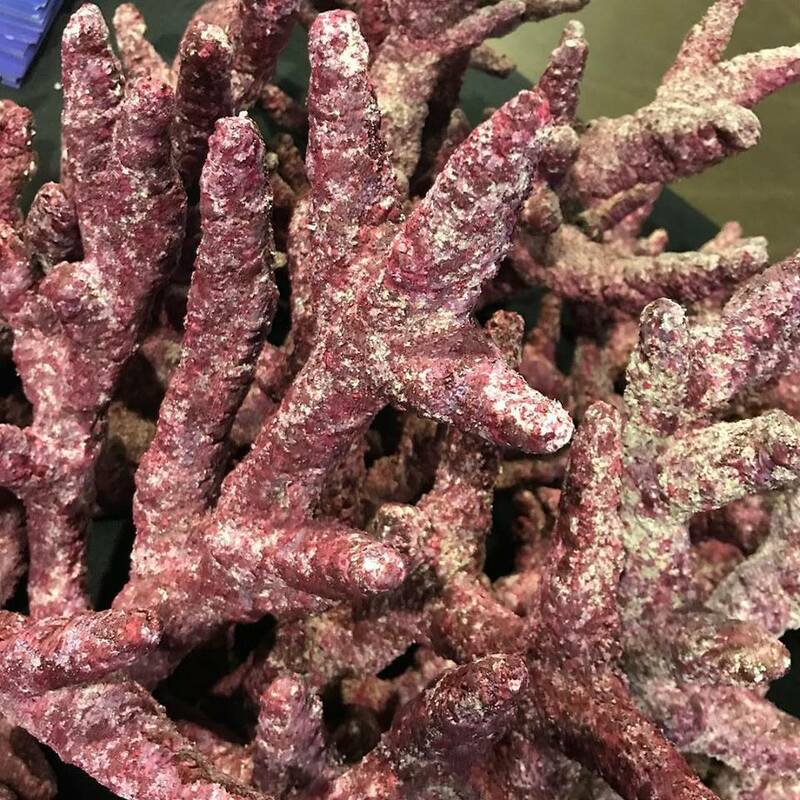 The new form of branch rock takes on the appearance of large, intricately branching, weather-worn coral skeletons. An impressive formation of nooks and crannies makes for amazing habitat for fish and other animals requiring numerous bolt holes and hideaways. The latest iteration of Real Reef’s Branch Rock allows for the creation of intricate designs at a scale not seen before.